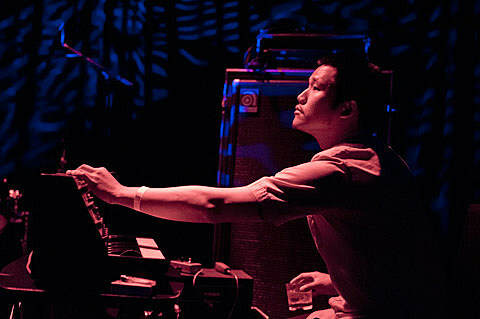 As mentioned, Dirty Beaches (aka Alex Zhang Hungtai) is releasing his new double album, Drifters/Love Is The Devil on May 21 via Zoo Music. After already releasing the instrumental title track from Love Is The Devil, he’s now let loose the also-instrumental and equally haunting closing track of Drifters, “Landscapes in the Mist.” Like the last single, it’s even weirder than his 2011 LP, Badlands, and it keeps the anticipation pretty high for this new record. 19 4 Moscow, Russia – P.P.C.M.